Pulido has signed a four year contract with the Greek giants. According to Greek website Sportday, Alan Pulido, former Tigres player, has signed for Olympiakos. The player had a falling out with his club over a contract dispute last summer. The club believed he had a contract with them for the next two years, whereas Pulido was adamant that he was a free agent. He came close to joining Olympiakos at that time but the deal fell through after Tigres and the Greek side were unable to agree a fee. 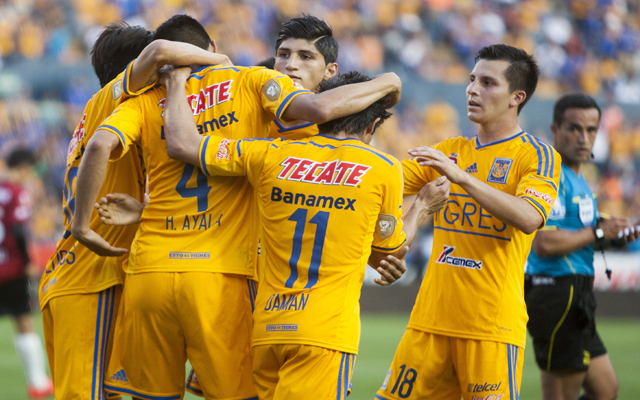 The 23-year old joined Tigres as a youth player before making his senior debut in 2010. He went on to make 101 appearances for the side, scoring 23 goals in the process. During his time at the club he won both the Mexican league in 2011 and the domestic cup in 2014. He was part of Miguel Herrera’s 23 man squad for last summer’s World Cup in Brazil, but he did not make an appearance.